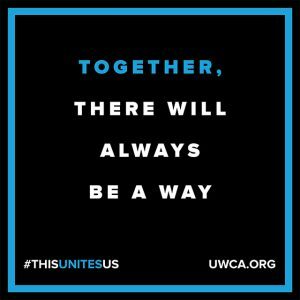 “Together, there will always be a way” is the central message of United Way of Central Alabama’s 2016 Campaign. Each year, during this time, we come together as a community to provide support for this worthy cause. Donations to the United Way, support over 80 agencies and programs in the Central Alabama area. Ronald McDonald House Charities of Alabama is one of those organizations. However, for RMHCA to receive funds from the United Way, the person making the donation must designate RMHCA as the agency or one of the agencies the person donating wants to support. Why is this necessary and what does it mean? The United Way determines how to split up donations made to the United Way without specific instructions among its various agencies. However, there are a few agencies that get no funding unless the person donating specifically requests that their donations go to that specific agency. RMHCA is one of those organizations. Therefore, if you want to donate to RMHCA through the United Way, you must specify that you want your donation (or a percentage of it) to go to RMHCA. When making a donation to the United Way Campaign, please consider designating all or part of your donation to RMHCA. For more information on the United Way of Central Alabama, please visit www.uwca.org.